Now that the heat is not just outside but very much inside my apartment, I’ve started thinking about ways to cool off this summer. When I came across this New York Times recipe for agua fresca, I knew that I was going to be doing a lot of pureeing in the next few months. 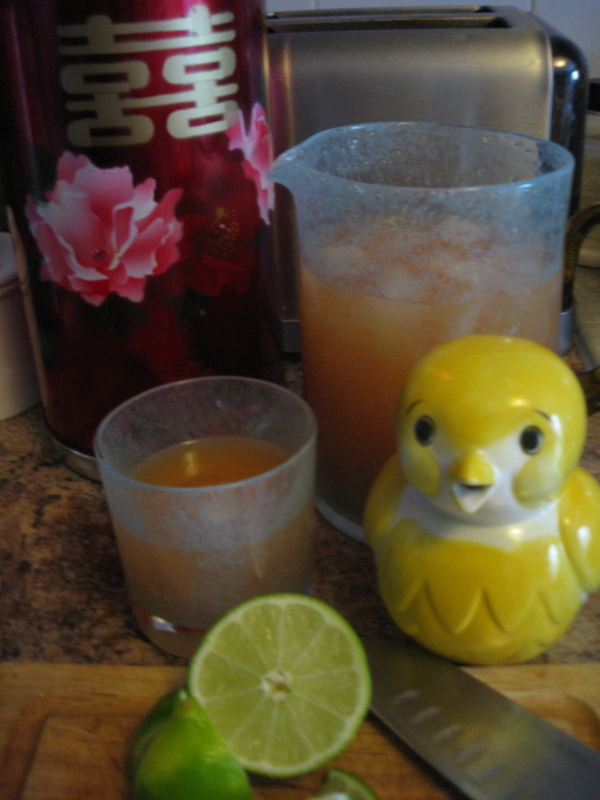 I made the cantaloupe agua fresca for the park today, following the directions closely, and loved the results. There are other versions where you don’t strain after blending or add more fruit at the end which I’ll definitely try next time. Mostly, I love having an excuse to buy any farmer’s market fruit too pretty to leave behind (not unlike the fat little bird sugar dispenser I found this weekend). Maybe the heat is getting to me after all? it was so yummy. not too sweet. i could drink BUCKETS.